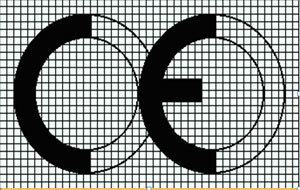 The CE marking is a key indicator (but not proof) of a product’s compliance with European Union (EU) health, safety and environmental protection directives and regulations.If your product comes under the scope of a directive requiring CE marking you must ensure the product complies with the applicable requirements and affix the CE mark before placing it in the market in the European Economic Area (EEA). Often the CE marking is described as a trade passport because it enables the free movement of products within the European market. KBS has collaboration with Applus Laboratory, Spain (Notify Body No. 370) to provide CE marking and training services in India. Applus+ is one of the world's leading testing, inspection and certification companies. With more than 20,000 employees, Applus operate a network of more than 350 offices and laboratories in more than 70 countries across the globe. The purpose of the Low Voltage Directive is to ensure the safety of people, domestic animals, and property by protecting them against hazards caused by electrical equipment. Manufacturers must ensure protection against hazards stemming from the electrical equipment by addressing factors such as temperature, arcs and radiation. Insulation must be suitable for the conditions of use. The manufacturer must also offer protection from hazards arising from external influences on the electrical equipment such as mechanical, chemical, fire, electromagnetic frequency (EMF) or thermal risks. All electrical equipment designed for use with a voltage rating between 50 and 1000 volts for alternating current (AC) or between 75 and 1500 volts for direct current (DC) are covered by the Low Voltage Directive. Voltage ratings refer to the voltage of the electrical input or output, not to voltages which may appear inside the equipment. The purpose of the EMC Directive is to have electronic or electrical products function properly when they are in proximity to other electronic and electrical products by a) ensuring that electrical and electronic products do not emit electromagnetic disturbances that will adversely affect other products; b) making the apparatus immune from incoming electromagnetic disturbances. The EMC Directive covers “apparatus,” “components and sub-assemblies,” and “mobile installations.” Apparatus means any finished appliance or combination of appliances made commercially available as a single functional unit which can generate electromagnetic disturbance or whose performance is affected by such disturbance. Components or sub-assemblies are intended for incorporation into an apparatus by the end user. They cannot generate emissions and must be immune from incoming emissions to ensure their intended performance. Mobile installations are defined as a combination of apparatus and where applicable, other devices, intended to be moved and operated in a range of locations. The Construction Products Regulation (CPR) has a very broad scope and applies to all types of products from welding consumables to building materials to road construction products. All products covered by the regulation must meet the relevant essential performance characteristics which are related to the ‘Basic requirements for construction works’ as defined within Annex I of the CPR. These requirements fall into the following categories viz mechanical resistance and stability, safety in the case of fire, hygiene, health and the environment, safety and accessibility in use, protection against noise, energy economy and heat retention, sustainable use of natural resources. The Personal Protective Equipment Directive (89/686/EEC) sets out requirements relating to the design, manufacture and supply of PPE. The PPE Regulations 2002 provide manufacturers of PPE, or those importing PPE into Europe with the option of complying directly with its basic health and safety requirements, or with harmonised European Standards which have been developed specifically to allow a presumption of conformity with those requirements. The PED has a wide scope, covering the design, manufacture and conformity assessment of pressure equipment and assemblies with a maximum allowable pressure PS greater than 0.5 bargauge). Pressure equipment exceeding a certain risk threshold must meet the essential safety requirements set out in Annex I of the PED. Depending upon the type of equipment - its pressure rating, volume or nominal size and fluid content, manufacturers may select from a range of conformity assessment modules, which include manufacturers self-certification, third-party type examination or design examination, third-party inspection, quality management system certification. The risk category for pressure equipment is set out in Annex II of the PED. Only lower-risk equipment may be subject to manufacturers self-certification and most pressure equipment must be certified by a notified body. The Medical Device Directive is intended to harmonize the laws related to medical devices within the European Union. In order to legally place medical device(s) on the European market, manufacturer(s) should comply with the requirements of the MD Directive. Product(s) and quality system of an applicant must be assessed and the manufacturer must affix the CE marking before placing the product(s) on the market. GOST-R certification is mandatory for a wide range of products in the Russian market.Without Gost-R certificate customs does not give the clearance for sale and/or marketing in the country. The GOST-R certificate of conformity signifies that imported products comply with Russian standards, quality and safety requirements. KBS help you to ensure that your products comply with Russian safety regulations and achiveing the GOST-R certification. The American Petroleum Institute (API) is the only national trade association that represents all aspects of America’s oil and natural gas industry. The members of API are dedicated to continuous efforts to improve the compatibility of their operations with the environment while economically developing energy resources and supplying high quality products and services to consumers. The US Youth Committee (USYC) to the World Petroleum Council (WPC) was formed to strengthen the impact both young professionals and university students can have in developing solutions to global energy issues. The USYC hosts events to enable conversations among youth with a passion for the industry. KBSprovides consultancy for companies internationally to achieve license to API product specifications and certify to quality specifications (e.g., API Q1, ISO TS 29001, ISO 9001). KBS can assist you whether it’s your first certification audit or if your quality management system needs minor changes or a complete revision. KBS consultants are competent with proven oil and gas industry track records. KBS helps and support companies regarding the RoHS Compliance . The China Compulsory Certificate mark, commonly known as a CCC Mark, is a compulsory safety mark for many products imported, sold or used in the Chinese market. It was implemented on May 1, 2002 and became fully effective on August 1, 2003. It is the result of the integration of China's two previous compulsory inspection systems, namely "CCIB" (Safety Mark, introduced in 1989 and required for products in 47 product categories) and "CCEE" (also known as "Great Wall" Mark, for electrical commodities in 7 product categories), into a single procedure. KBS will help and assist you get CCC certificate. The FCC Declaration of Conformity or the FCC label or the FCC mark is a certification mark employed on electronic products manufactured or sold in the United States which certifies that the electromagnetic interference from the device is under limits approved by the Federal Communications Commission. The FCC label is found even on products sold outside the US territory, because they are either products manufactured in the US and had been exported, or they were manufactured in other nations which have US as a prime market (e.g. : Japan, China). This makes the FCC label recognizable worldwide even to people to whom the name of the agency Federal Communications Commission is not familiar. Starting in October 2002, in accordance with EU Directive 72/245/EEC, and amendments to the requirements of Directive 95/54/EC, all access to the EU market to sell the vehicle electrical and electronic products, it is necessary to e-Mark certification testing, stickers e signs EU customs clearance would be to allow access to local markets, so auto electronic products on the e-Mark certification, it is imperative.